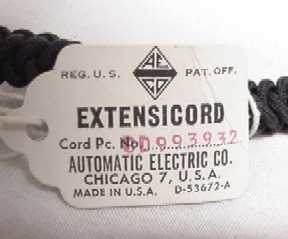 The EXTENSICORD is a braided, retractable handset cord that was used exclusively by Automatic Electric Company, mostly on their beautiful color telephones of the 1930's through 1950's era. 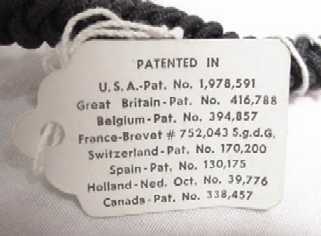 No restoration or re-creation of an early AE color phone is complete without one of these beautiful cords. While our diminishing supply lasts, you can order these beautiful cords for just $45 plus postage from VTS Industrial Company. Send check or money order to the address below, or pay conveniently on-line at PayPal using our email jydsk@tds.net as Account Recipient. 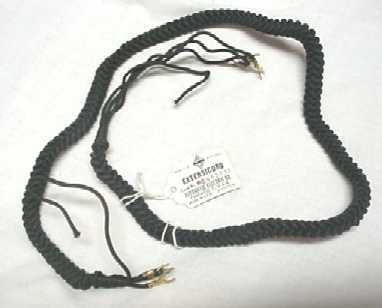 Order your EXTENSICORD now.